April Morning PU - Illustration store PicsForDesign.com. PSP tubes, PSD illustrations, Vector illustrations. 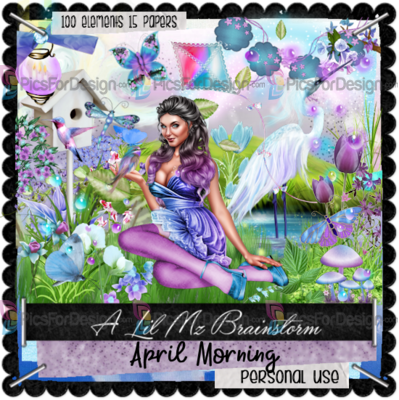 Lil Mz's Brainstorms introduces April Morning. This personal use scrapkit contains 100 elements and 15 matching papers. The tube is ©Elegance-Attila and is included for use with this kit ONLY!